From high capacity fluidized media reactors to high-tech denitrators, MRC’s iSeries reactors have you covered . 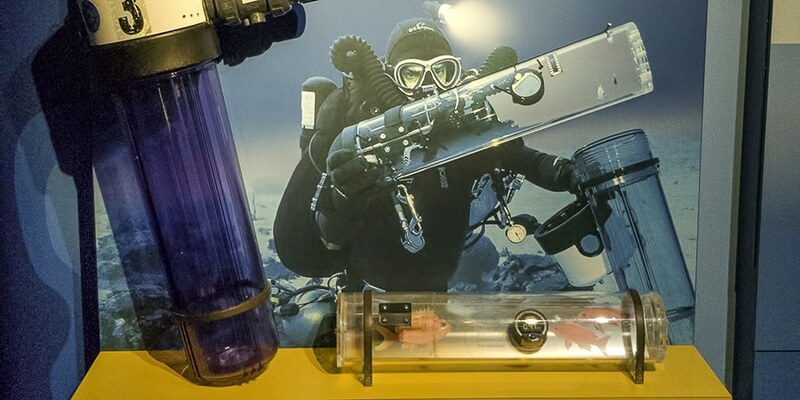 Created for public aquariums, discerning aquarists quickly began implementing them into their systems. With numerous different models available in every size imaginable, nothing else comes close. iSeries™ reactors employ the most advanced filtration technologies pioneered by MRC. Titanium and stainless steel hardware. Digital flow meters. High-precision needle valves. Self-cleaning distribution plates. Everything that you’d expect from the aquatic life support leader. From upscale home aquariums to major public aquarium displays, iSeries™ reactors are available for any sized system. All iSeries™ reactors are fabricated to order; configured with precise data compiled for decades and fabricated within the highest tolerances. We like things to be right and right the first time around. Our team will work with you to ensure every need and desire is addressed. System dynamics will be assessed before product selection giving you the best product for your specific application. As always, 100% American made. Filtration medias are a staple of water filtration and there’s no better method of implementation than a media reactor. To maximize surface contact, the media must be fluidized in a uniform and non-destructive manner. The iFMC™ is designed specifically for large volumes of media with multiple different plate options to accomodate any sized media particle. Used across the globe, the MRC iSeries™ Calcium Reactor is the largest and most efficient reactor in the market. Our precision needle valve makes adjustments effortless and accurate. The MRC Spray-bar technology ensures an even dissolution of media, maximizing media use and effluent output. The largest and most advanced large scale denitrators in the industry, iSeries™ Denitrification Reactors are your solution to high nitrates. Loaded with monitoring equipment. no reactor is easier to manage or tune. And with MRC’s self cleaning distribution plate, servicing the unit has never been simpler or more effortless. Maximize your ozone to water ratio with an iSeries™ Ozone Reactor. Make dwell time adjustments without affecting the rest of the LSS, giving your life support technicians more control over the water quality. Equipped standard with Mazzei kynar injectors, recirculation pumps, and destruct ports. iSeries™ Bio-Reactors are the perfect solution for degassing, biological filtration, and various other substrate uses. Use one of our existing designs or work with our team to fabricate a custom application for you. Available in numerous poly materials to titanium. From funky aquatic contraptions to the SubCAS which is the only device allowing divers to bring up fish alive from immense depths, we deliver. But it doesn’t stop there: props, bent windows, lab equipment, museum works. If you have the idea or need, we have the solutions and skills to bring them to fruition. The only full line industrial media reactor on the market. Easy to operate, robust construction, and a large selection of models. Includes the a heavy duty MRC® distribution plate for coarse media and a premium media pad for fine medias. Featuring an upflow design to fluidize the media in a more uniform pattern. Extra heavy duty construction with stainless steel hardware. The most efficient and advanced Industrial Calcium Reactor on the market. Easy to operate for optimal results. 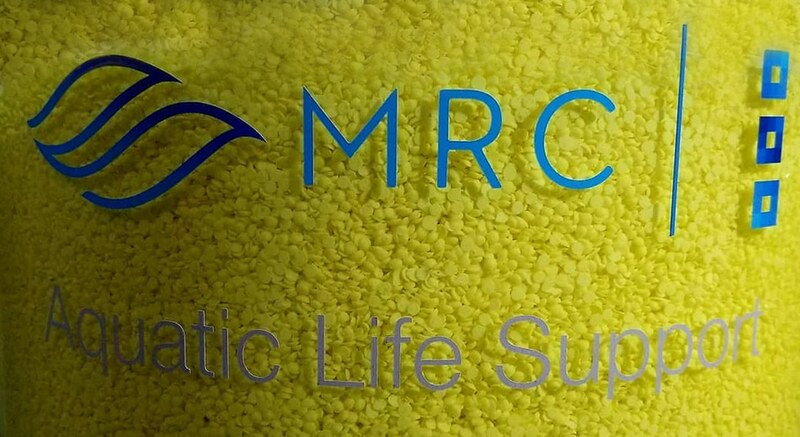 MRC® is the only American manufacturer of industrial denitrification reactors. Robust construction and loaded with technology. Easily manage and tune with the equipped monitoring instruments. MRC’s self cleaning distribution plate makes servicing the unit completely effortless no more breaking down and manually cleaning the reactor! Whether you’re wanting biological filtration or increasing degassing, MRC’s industrial bio-reactor is the most adaptable reactor available. Highly customizable to suit your life support needs with a multitude of material options. Our team is happy to recommend an existing MRC model or work with you to create the perfect design for you. Another MRC® exclusive, the iO3™ Reactor allows you to add ozonization to any system. Easy to operate for optimal results. Includes the patented Mazzei® Venturi Injector which maximizes injector efficiency, suction capacity and mixing capabilities. All models are nicely equipped with monitoring and destruct ports. We are here to walk you through the often over complicated process of specifying the appropriate units for your needs. Contact an MRC® specialist today.